We are exciting to tell you that Burundi is now at our portafolio for the first time. Yes, this is a historic moment for Cafetoria. Why it took so long? Unlike most of the Latin American coffees, coffees from Burundi, Tanzania and Rwanda can be a bit flat and it is easier to turn into a boring coffee with some burny taste. If you have ever drunk coffee in an airplane you can understand what I am talking about! So we wanted to make sure that if we take a Burundi coffee, this should have great sensorial properties. So like many things in life, decisions happen many times without planning and this applies specially for us. 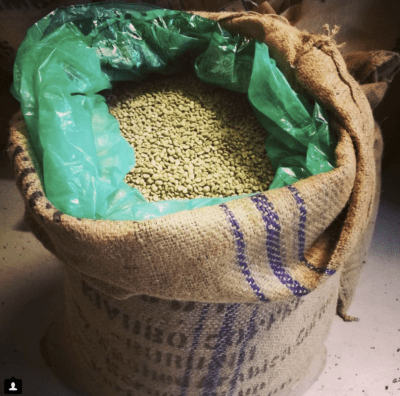 Last June, when we visited the World of Coffee in Amsterdam, we cupped a lot of coffees but between the 100 different coffees that we cupped we found about 5 beans that called us our attention. One of these beans that impressed so much to us was this nice Burundi Kivubo. We really liked the fruity notes, creaminess, cleanness and sophisticated sweetness of this bean. So that was it. We secured few sacks of these coffees for you! Burundi is situated on a plateau at an altitude of 1400m – 1800m. Coffee in this country is mainly produced by small farmers, who concentrate on around 160 washing stations. Our Burundi Kivubo is grown in the Mutambu region. The combination of dry and wet fermentation develops an extraordinary cup profile there.Due to the steep slopes in the Mutambu region the coffee is grown on terraces and is handpicked by local farmers. surprised us with similar delighting aromas. I did not expected this kind of nice, profound smell from Burundi. I could be just happy by its smell and then go home! In addition to its aromas Burundi beans are quite uniform in size (medium size) and very homogeneous. This is an indication of a good bean selection method. I say only “indication” because there are beans from a wide distribution size, such as our lovely coffee from Peru, Gran Palomar, which comes from farms located at different altitudes (1200 to 1800 masl) and is a mix of different varietals. All these result on a coffee selection from considerable variations in size. But returning to our Burundi Kivubo, we wanted to alter our coffee roasting process so as to keep that nice delicate acidity and sweetness. My first impressions after tasting this bean from our sample roaster is to approach a light to medium roast so I can underline those intrinsic red berry notes proper of the bean. We were lucky enough to also receive at the same time an order from a customer, Slurp, to provide this coffee as a DARK roast! You may say DARK ROAST? Why other coffee roasters refuse to roast at the dark roast level we do love going to that level. While it is true that many attributes of the bean are rescued at the light roast level I like going too, depending on the case, to the dark side because, as I use to say, it allow me to see different expressions of the perfect cup. My approach to the dark side for this Burundi was to put emphasis in preserving the delicate sweetness and acidity and adding some toasty notes on it but not too much, as otherwise I did not want this nice Burundi to taste like a coffee served in the airplanes! In the picture on the left you can see the two different roasting levels. Quite visible difference on the appearance but, as you will see later, also on the taste. The brewing was made with the 2-step pre-infusion method, a method that I invented last year and has given us extremely good results. If you ask a Hario V60 drink at our Café in Töölö we will make it with this method. We also used this method at the 1 stage of the Finnish Cup Brewer’s cup this year. At that stage, all participants were supposed to deliver the best cup that they deliver using any brewing tool available. The Judge’s decision, based on blind tasting, allocated us in the 1st place! Both cups are quite nice and besides the roasting approach we took I need to tell you that roasting a coffee, 100% Bourbon varietal, makes my mission already fascinating because Bourbon is a precious natural varietal that brings to the cup a delicate sweetness. The light roast version brings some notes of fermented fruits, like Tamarind, red berries (or pomegrande), chewy body, medium delicate acidity. This cup also offers some fragrances of noble woods too. On the other hand, the dark roast version brings some more concentrated notes of vanilla, caramel, black pepper and aromas of incense and carob like sweetness. This cup brings me also memories of some Finnish “Savu” (smoked) alcoholic drink and that can be a good selling point to Finnish consumers 🙂 To finalise, I sense a presence of matured black cherries acting, in a shy but clever way, at the background of the cup and I felt this presence is responsible of bring all these different organiloptic properties together, in harmony. Both cups were tasting very good but as I always say, there is always room for optimisation. We will most probably launch this Burundi as a light-to-medium roast. It will be available in few weeks time but in the meantime you can visit our Coffee Bars at Töölö or in Lohja to drink our Burundi Kivubo as a dark roast and or take some bag for home. Comments or inquires, feel free to bring it!